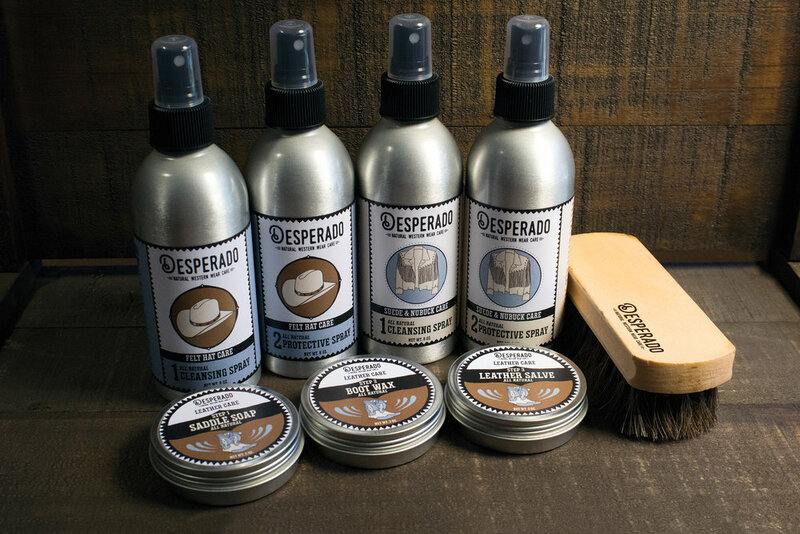 Desperado is a company that has 3 lines of natural fabric care products that clean and protect western wear fabrics: leather, suede & felt hats. Desperado is targeted toward a younger crowd found in more urban areas such as, Austin and Nashville, that care about the environment and are conscious of the products that they use. Desperado’s logo type was inspired by old cattle brands. The colors, illustrations and bar codes incorporate a southwestern feel.